I have 4 acres in the Blue Ridge Mountains. I have two species in my yard. The one that lives on the west side eats apples from my yard. 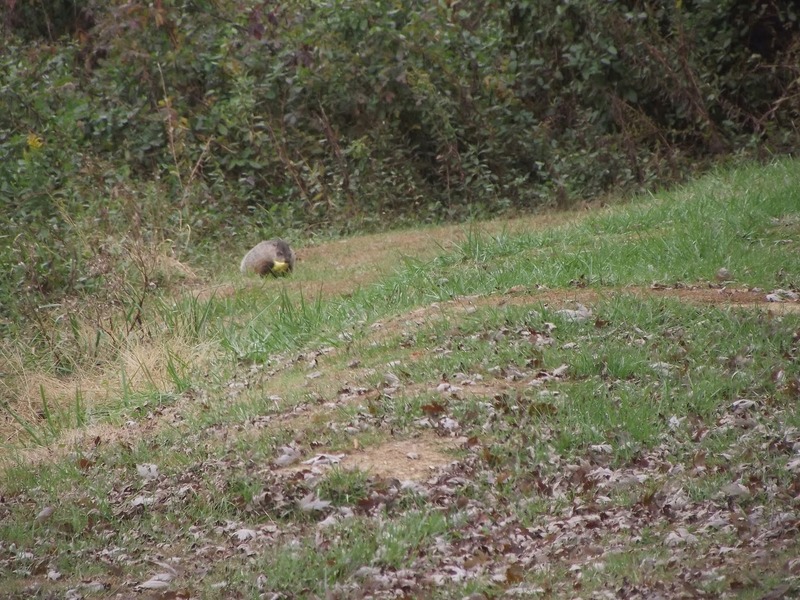 I believe it is a wood chuck. 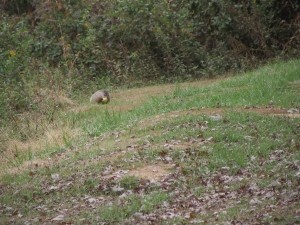 On the east side of my property lives a ground hog which eats the bugs from our yard after we mow. There used to be 2 on the east side, but this past summer I only saw one. Thank you Judy for your submission! As I’m sure you know, the Blue Ridge Mountains played a very significant role during the American Civil War. The Confederate army used the natural peaks and ridges of the mountain range to shield their movements from Union forces. And the mountains contained various passes and roads that were utilized by both armies as they moved from place to place. I can only assume that your property sits on or near an important Civil War-related historical site and that the two types of BLMs you describe are modern-day manifestations of brave fallen soldiers. I know that you describe an eastern and a western BLM, but perhaps if you just shift things around a little, you could agree you actually have a northern and a southern BLM? Hopefully, your BLMs will not go to war over the apple versus insect issue. The BLM that you describe as being missing from the eastern portion of your property has probably been sent to Richmond as reinforcement.